Recently snapped up for the jaw-dropping sum of $1 billion dollars ($300 million of which came in cash, according to Facebook’s latest S-1 filing), Instagram has been all over the headlines in the social and news worlds. The 5 million downloads it enjoyed in its first six days in the Google Play store certain helped add to the hype. Facebook’s near-IPO status and recent announcement of it’s over 900 million active users has also helped to guarantee a few Instagram mentions in everyone’s feed on a daily basis over the past few weeks. All of the hype has also caused previously uninterested brands to sit up and take notice, with many jumping right into the fray. However, it’s always good to take a cautious approach to any new outlet for your brand image, and Instagram is no exception. Thankfully, some early adopters have already put in the legwork for you and will save you some grief if you learn by their mistakes. Here’s what to avoid when using Instagram to build your brand. This is pretty straightforward advice, and applies to all of your marketing efforts. Consistency helps to build trust with consumers, and predictably updated social media are no different. Outline a schedule for your brand and stick to it. Nothing is more likely to irk your following and cause them to unfollow your account than erratic splurges of photos with long waits in between. If you decide to make use of Instagram, incorporate it into your content calendar and stick with it. 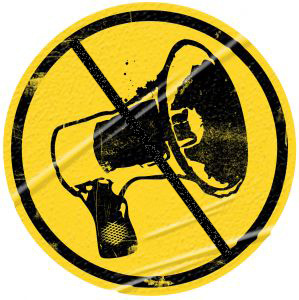 Like all social media, Instagram does best as a conversation starter, not a megaphone. Keep track of the engagement your content is getting – if you notice that your posts are getting less feedback, examine their content and change up what you’re publishing. To that end, Instagram provides a great platform to explore the outskirts of your brand. Take it behind the scenes, like GE’s account regularly does, and provide a human element to your company. Keep track of what you’re posting where – although it can be tempting to post up those beautiful snaps across your entire social graph, a Study by MyMemory.com featured on the Daily Mail found that users who post lots of Instagram photos are more likely to be dumped by their friends – imagine how they might feel about a brand. To that end, keep Instagram photos where they do best, on Instagram, and tastefully highlight select photos on your other feeds to encourage follower growth. Think of your brand as a talk show host. How interesting would any talk show be if the host was the only one who talked the whole time, and the guests never got a word in edgewise? If you’re simply throwing up photos into the Insta-ether and not paying attention to how your followers are reacting, your brand is being that host. Make sure to find ways to interact with your followers by doing things like replying to relevant comments. Instagram features a hashtag feature similar to Twitters – users can browse photos tagged with specific hashtags by simply selecting a tag as it shows up in their feed. This can be a great tool for brands to create contests and drive brand engagement – if used properly – for instance, NH Hoteles encourages useres to upload Instagrams of when they have ‘wake up moments’ and hashtag them with #wakeuppics. The Wake Up Pics site showcases Instagrams captured by users with the hash, opening up a dialogue with the brand. Tangential to ‘Being a Bad Host’ and ‘Publishing The Same Photos’ is the biggest mistake your brand can make on Instagram – not providing value to the user who follows you. 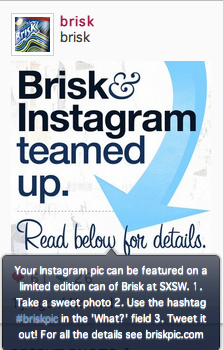 Lipton’s Brisk did a great job of providing value early on – they sponsored an Instagram contest soliciting Instagrams tagged with #briskpic to be used on their next Brisk beverage cans. This is a simple way to provide some awesome and easily accessed value to users – it was as simple as adding a hashtag to a photo. Since the medium itself is so visual and the sharing is so simple and straightforward, Instagram lends itself very nicely to user-generated contests. Want a simple way to tie in users? Design a contest featuring a branded hashtag or branded content, like ‘Best Instagram in a Threadless T-Shirt tagged with #ThreadThis’. Better yet, take that example one step forward and tie them into a different social network, like Facebook – ‘the winner will be featured on our Cover Photo’. This is a great way to cross-promote your own social channels and encourage followers to join you on both platforms, as well as encourage engagement from your users. Value is not limited to giveaways and contests, of course. Exclusive content, behind-the-scenes looks, and company history can all be great sources of good content to share on Instagram. The before-mentioned GE behind-the-scene’s branding is a great extension of GE’s larger campaign to promote awareness of how their large B2B side affects everyday consumers. Burberry also does an excellent job, highlighting old advertising campaigns from the prestigious clothier and historical photos, like the landing of ‘The Burberry’ record-breaking airplane in 1937. 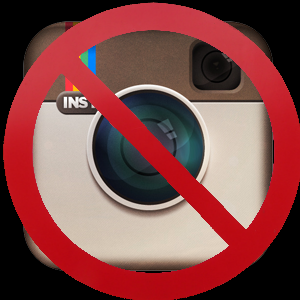 The last mistake brands can make when using Instagram is simply using it when they don’t have the time or personnel to devote to maintaining the network. Some community managers or business owners might see Instagram as an easy way to add social networking to photos they already share on Facebook and Twitter and conversely add beautiful filters to photos they already were planning on sharing, but as the aforementioned studies how, that can be more harmful of a line of thinking than helpful. Although staking out your brand name is a good idea, if you can’t commit the time or resources to making good on these other points, it might be better to simply direct followers to another social network you have more content going through.